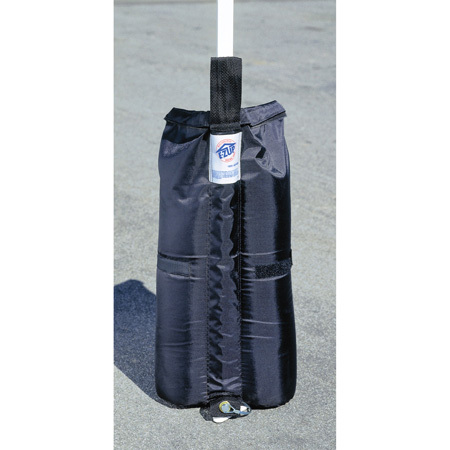  Deluxe weight bags hold 40 lbs of sand each and attach easily to the legs with quick release pins (included).  Works on hard or soft surfaces.  A must for outdoor use.  Set includes 4 bags.